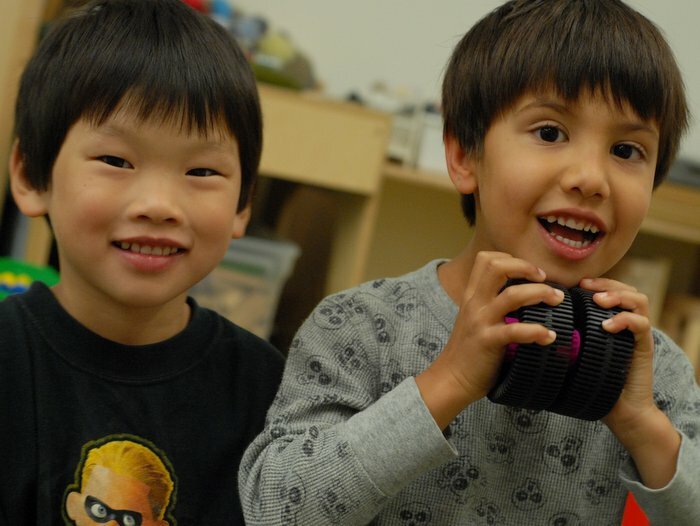 Inspired by the Reggio Emilia philosophy that children are inherently active and capable learners, the Bigelow curriculum allocates time for diverse play experiences, and offers a wide variety of learning materials and play environments. The curriculum integrates the natural process of exploration and problem-solving with units on literacy, math, science, social studies and the arts, and incorporates resources for children with different learning styles (visual, auditory, kinesthetic). Problem solving is the foundation of a young child's learning and is facilitated through play. 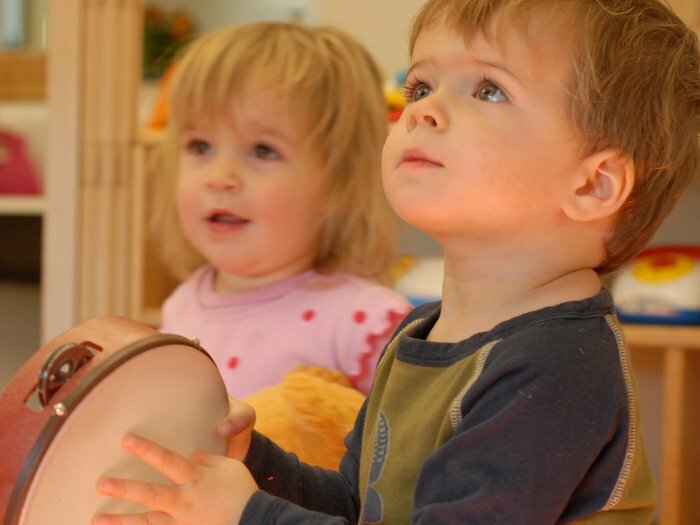 Through play, children explore social relationships, manipulate objects, formulate ideas, experiment with these ideas and accept or reject what they learn. Making mistakes is an important part of this natural process. At Bigelow, we encourage experimentation through meaningful and personal experiences. 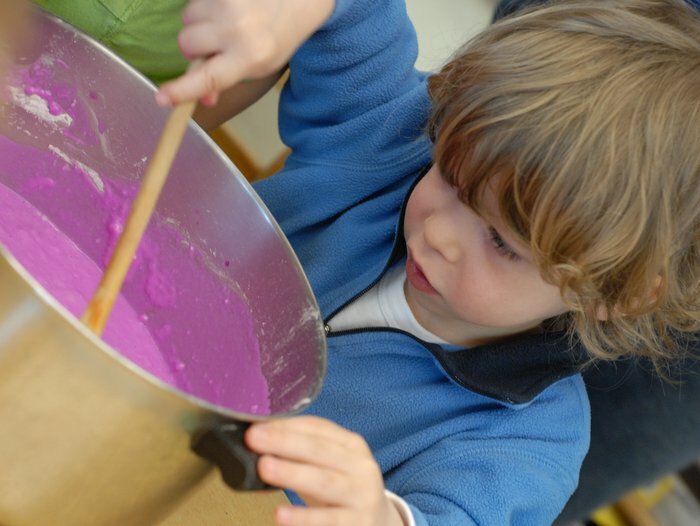 We provide time, space and materials for active exploration that stimulates a child’s imagination. Time spent in imaginary play helps children develop critical cognitive skills such as self-regulation. Through play, children learn to negotiate, cooperative, turn take, delay gratification and manage disappointment. Imaginative play sows the seeds of empathy when a child can put him/herself in another’s shoes. Empathy is a key ingredient in intellectual growth. 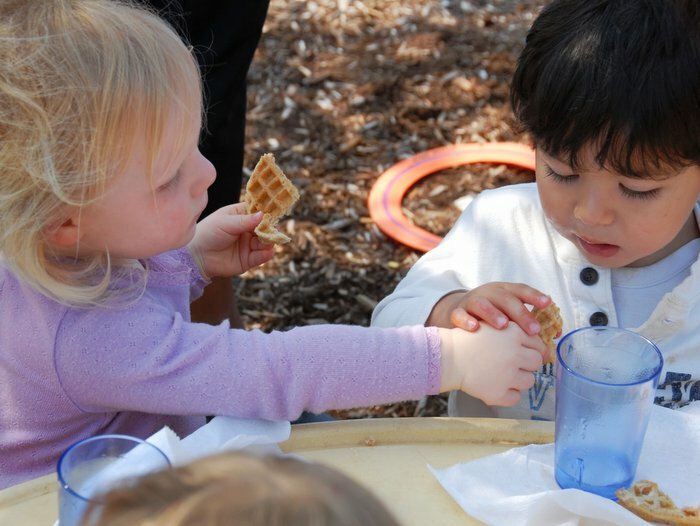 Pretend play is also an important stimulant for oral language development. 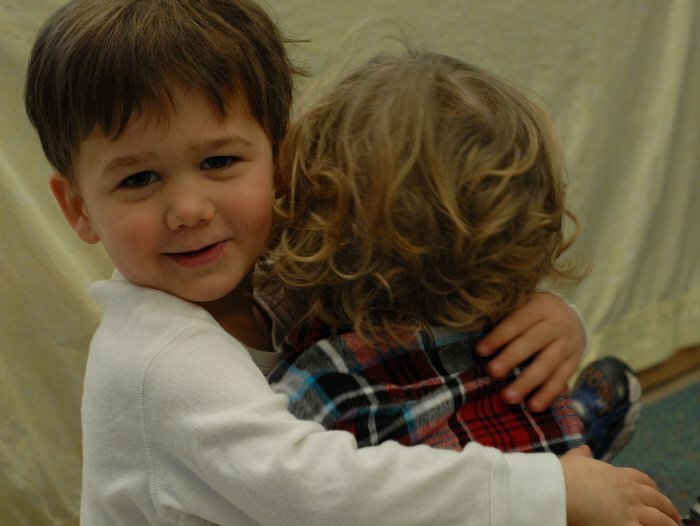 Children engage with one another in speech as well as with themselves in private speech. Private speech entails talking to oneself about what you are going to do and how you are going to do it. Children who are given the opportunity to engage in private speech through play are actively engaged in the problem solving process. Presenting curriculum through different modalities is critical for enthusiastic, engaged learning. All experiences are hands-on and open for exploration. Music and movement are incorporated for kinesthetic learners. Visual and auditory modalities are presented each day as well. Our anti-bias curriculum is committed to the principle that every child deserves to develop to his or her fullest potential. The heart of anti-bias work is a vision of a world in which all children are able to blossom, and each child’s particular abilities and gifts are able to flourish (anti-bias education position statement, from the National Association for the Education of Young Children). Click here to learn more about NAEYC anti-bias education. © 2007 – 2019 Bigelow Cooperative. All rights reserved. This organization is a 501(c)3 tax exempt organization.